BioCell Collagen Review – Is This Product Safe To Use? BioCell Collagen is touted as a scientific based and clinically tested dietary that promotes healthy connective tissue, supports joints and promotes youthful skin. BioCell Collagen is composed of natural hydrolyzed collagen type II, Hyaluronic Acid and Chondroitin sulphate. What is the Company Behind BioCell Collagen? What are the Ingredients Used in BioCell Collagen? How Does Biocell Collagen Joint and Skin Care Work? How can BioCell Collagen Support Joint Health? What are the Pros of BioCell Collagen? What are the Cons of BioCell Collagen? The producer claims that the combination forms a highly absorbable matrix that has been subjected to numerous clinical trials that include efficiency, safety and bioavailability. BioCell Collagen makes use of a patented Bio-Optimization procedure that guarantees incredible bio-availability as well as ensuring rapid absorption in the body. The synergetic mixture of hydrolysed collagen type II and low molecular weight chondroitin sulphate and Hyaluronic acid promotes a multi-dimensional nutritional support for healthy connective tissues such as tendons, ligaments, joints and skin. The manufacturer markets BioCell Collagen as a comprehensive and holistic approach to joint care and support. The holistic approach targets not only the cartilage, but related tissue such as tendons, ligaments, and lubricating fluids. The product does not use the popular Glucosamine and Chondroitin combination for joint care that has been used for several decades now. The producers note that this is the time to move to the future of joint care, BioCell Collagen. We hoped to have a scientific backing when answering this question but the truth is, the conducted clinical studies have no scientific backing and therefore cannot be used to make a conclusion on the same. For this reason, we will revert to the next source of information, the customers. According to the dozen of customers we consulted and hundreds of customer reviews we sampled, BioCell Collagen is not as effective as the producers make it sound. First, the product is not fast acting after all. The average turnaround time is four weeks! This is an eternity when pain is considered. Second, the product has several prevailing side effects. Who Should Use Biocell Collagen? BioCell Collagen should be used by adults who are looking for optimum joint health. It should however not be used in place for prescription medication since it doesn’t treat or heal any joint and skin related ailments. BioCell Collagen is merely a supplement to supplement the body’s internal mechanism and prescription medication (under instruction from a professional). Is Biocell Collagen Right For You? 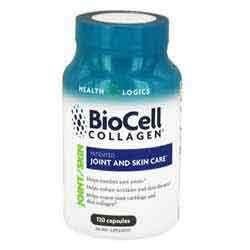 Biocell Collagen is not right for you if you are looking for a first and permanent solution to joint pain. You will be forced to look for alternatives or dedicated the rest of your life to the supplement. Although some customers reported to have positive results when using the supplement, the process rolled back after they stopped using the supplement. It cannot guarantee permanent and lifetime benefits all in all. What Should I Expect When Taking Biocell Collagen? You should expect nothing much. Why? The product doesn’t offer a permanent solution to joint pains. Once you discontinue using this product, any benefits you had acquired from the supplement are reversed and you will be forced to start all over again. Also you should expect to have a few mild side effects especially during the first weeks of usage. Will Biocell Collagen Show Results? It takes anything between 3 weeks to 6 months. In some cases, it doesn’t work at all. As much as this product looks perfect on paper, it is still not what a consumer would want to invest $50 a month for. The clinical trials are absent and thus we can’t know its effectiveness. In fact, the official website is mum on some critical information such as turnaround and interactions. Consumers have also complained about its slow nature of showing results, side effects and other complains concerning marketing.